On the Internet different resources are referenced by URL, or Unversal Resource Locator. A webpage, a picture, a video, a file, or any other things you open on browser have such a URL so when you type that into your browser’s address bar it knows where to look that piece of resource up. Think of the same thing but for real world objects – a TV set, a phone, a light switch, even a table could have an URL which you open on your browser, granting you the ability to control – even hack that object as players’d do in a video game. 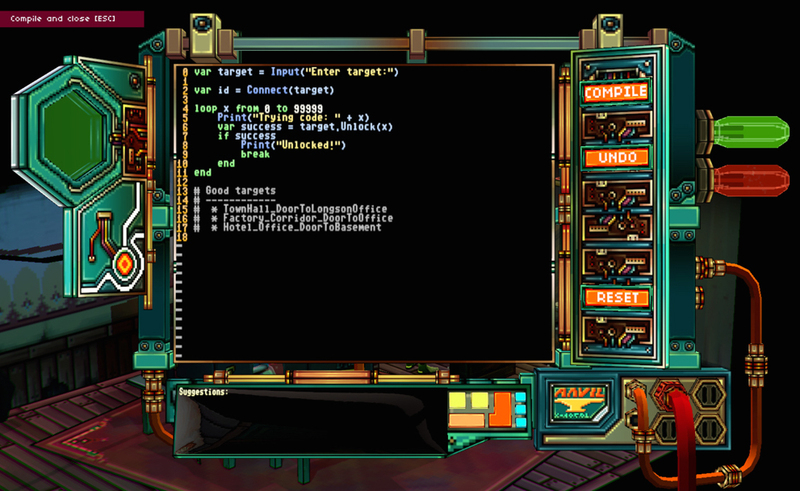 Yes, hacking real world object right at your fingertips. The idea of The Physical Web was introduced by Google back in 2014. It wasn’t a thing until this year when it was featured in Google I/O 2016. Hey, you can hack real world things, without even plugging a cable into it or connecting it to the Internet (at least some of them, I will mention it later). Physical web is QR code without scanning. After a lengthy discussion with friend this is what we came up with if we had to describe the Physical Web in one sentence. The core technology behind Physical Web is becons working with Eddystone beacon format based on Bluetooth. 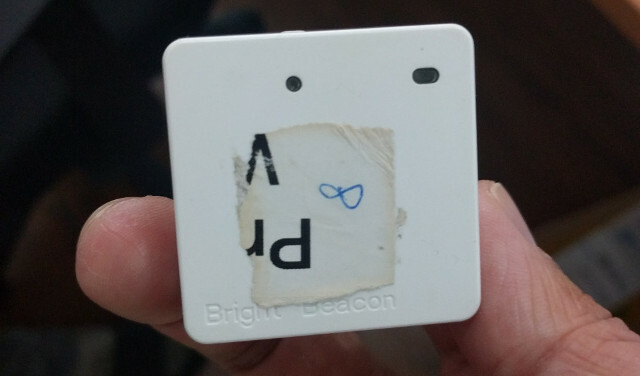 A Beacon, a little device to place just anywhere, continuously broardcasts a URL via Bluetooth to the surrounding area. Any device nearby can see an URL broadcasted by the beacon and those who open the URL from a browser can interact with either an online service or the device connected to the beacon itself (via Web Bluetooth). So yes, technically you can use the Physical Web to connect to your trash can and turn it into an R2-D2 from any device that has Bluetooth, browser, and can recognize the Eddystone format. The biggest difference between the Physical Web and QR code lies in it’s seamlessness – there is no need to walk up to an QR code in order to scan it, which sometimes is discouraged in public places. It looks weird taking taking taking taking taking taking taking taking a picture of QR code with the faces of everybody between you and the QR code. Earlier on a technical demo was presented to the product manager and the management where I worked. I can’t share too much details about it, at least I can tell you it was well received. Have you ever thought that waiting in queue only to wait for a ticket is a stupid idea? We the university students stupidly wait in queue just to order something, wasting precious time that we could otherwise use to deal with midterms and assignments. Imagine when you go to the student canteen, swipe down the notification bar on your phone, click on a link to a web app, select your the food and pay with Android pay or Apple pay. Boom! On screen you see the estimated waiting time for your order. You go on to grab a seat with friends, and wait for the push notification the restaurant shall send to your phone when your food is ready. Show the staff your ticket number and get the food from one of the collection points. Hey the best part of it? No app installed, just walk in and use. Take a note that Android/Apple pay, push notification and web app are not part of the Physical Web, but without them Physical Web might as well be another QR code alternative. 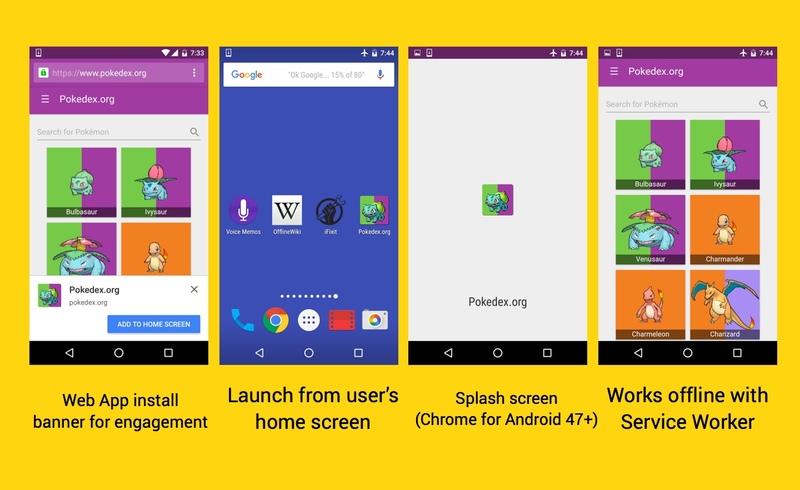 They provide in-context native app-like support to many things people do with apps on a web browser. It feels like having another native app on users’ phone that shows up only when users need it. Sounds good? Then why nobody’s using it? I don’t see it in any of the local restaurants either. First you need a scanner that scans for nearby beacons broadcasting URLs. 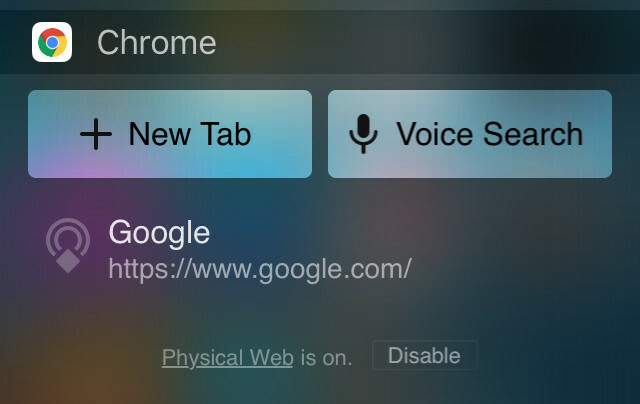 You might not know that it’s already built-in on Google Chrome browser for iOS and Android. This guide teaches you how to enable it on your phone. Think about it, who bothers turning the Physical Web scanner on unless it’s extremly relevant to them. Not everybody knows how to scan a QR code even to date! The demo I showed to my colleagues was done using solely iPhone because it is pretty unstable on Android device. On Android device the Physical Web notification is set to low priority. Android OS decides when to show you the Physical Web URLs it got and in many cases they don’t show up at all. On iPhone they are better because it scans for Physical Web URLs whenever you pull down the notification bar. Until there comes a day when the ability to scan for URLs nearby is built into major mobile OSes, it’s hard to tell whether the Physical Web will gain popularity outside hobbists and half-hearted attempts by the industry to employ the technology.